When most homeowners think about the winter season, thoughts of the holidays and time with the family come to mind. However, some homeowners may not take the time to think about how harsh winter elements can affect their landscape. It can turn your home’s winter wonderland into a severe mess if the proper precautions are not taken. At Groff Landscape Design, we offer a variety of landscape design services that are focused on winterizing your landscape. During this time of the year, one of our most popular landscape services is winterization especially in the Great Falls, VA area. Below are a few helpful tips and tricks to help you maintain your landscape this winter. Regular removal of leaves and debris from your lawn is crucial to its overall health. Simply schedule some time out of each week to remove leaves and other debris to maintain a healthy yard. A neglected and unkempt yard can result in mold and suffocation. However, with proper upkeep your landscape, it will flourish and grow to become lush green and ready for spring! The winter season also brings with it snow and freezing temperatures. In order to protect your trees and plants from these harsh elements, turn over the mulch surrounding these areas. This will allow the mulch to regulate soil temperature more effectively and protect the roots of your plants. Another trick to ensure the health of your greenery is to tie up the branches for support so that it can withstand heavy amounts of snow. Tying up your branches will reduce the chances of breakage and will keep the bark from splitting. Once heavy snow melts, it can leave a yard in much distress. A proper drainage system eliminates standing water on your property and saves your landscape from washing out. Therefore, incorporating a drainage system to your property is essential to keeping your yard in optimal condition. Keep in mind installing a drainage system is very labor-intensive and requires professional help to properly install. Hiring a professional landscaping company like Groff Landscaping Design will provide your landscape with the proper drainage solutions it needs to stay healthy all season long. 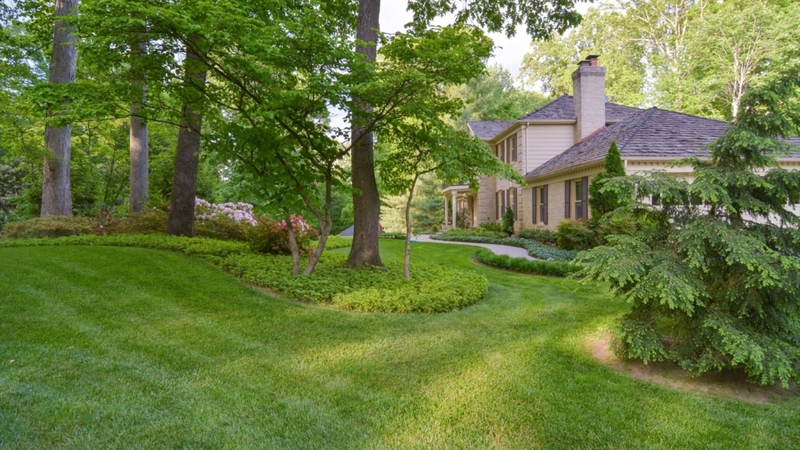 Groff Landscaping Design is the best Northern Virginia landscape design company that provides landscaping and design services of the highest quality. Not only are we passionate about our performance but we strive to make sure your landscape design needs are met. Complete transparency and customer-oriented service is our standard and we always to stick to your budget. Contact us today at (703)-999-8225 for assistance with preparing your landscape for winter.